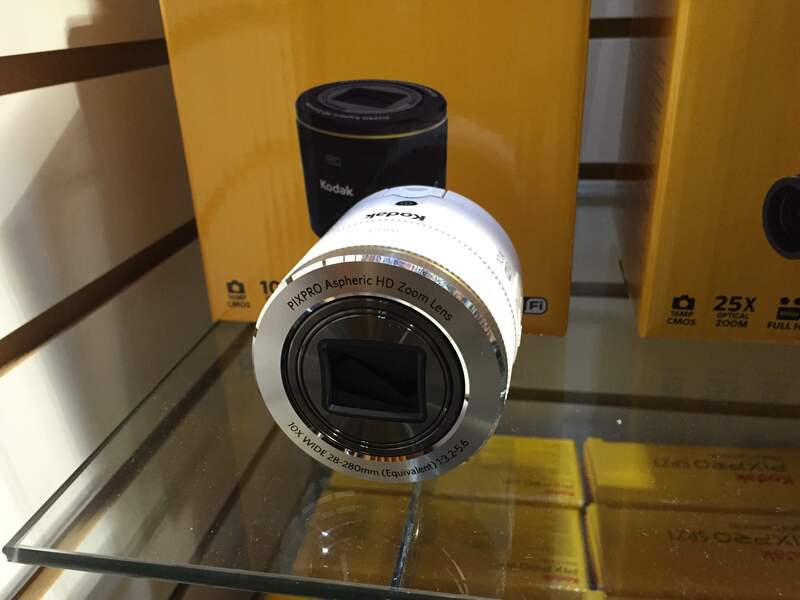 The Kodak smart lens aims to turn consumers’ smartphones into professional grade photographic machines. Companies with long histories in the photography industry are scrambling to stay relevant in a day and age when nearly every smartphone comes equipped with a high-resolution camera, making it incredibly convenient and easy for consumers to snap away in just about every occasion. The fight for relevancy has never been more evident than during the showcases presented at the 2015 CES, where companies like Kodak, Canon and Nikon displayed a range of products designed to compete and capitalize on the convenience afforded by smartphones. Because most consumers carry around their smartphones everywhere they go, it makes sense to whip it out at the first sign of a picture-perfect moment. While consumers’ ever-increasing use of smartphones as cameras has no doubt changed the way phone makers have designed their devices, it has also forced traditional camera companies to rethink their products. Emily Wong, Kodak Pix Pro assistant manager of marketing, admits that the company has struggled to address consumers’ fondness for smartphone cameras in the past, but that’s changing. To do that, the company created the Pixpro SL10 Smart Lens, a 10x or 25x optical zoom lens that snaps onto a smartphone to produce high-quality photographs. “Smartphones are great for the everyday shot because they are convenient, but for special events like weddings and sporting events you need more,” Steve Parsons, business director for digital devices for Kodak tells Consumerist. In addition to the smartphone lens, Kodak introduced the C360 video camera – a GoPro like device that allows users to take full circle video while out and about. The Nikon D5500 comes with built-in WiFi to make uploading photos to smartphones easier. Over at Nikon, the company is banking on consumers’ need for high-quality equipment and the convenience of automatic WiFi connection. 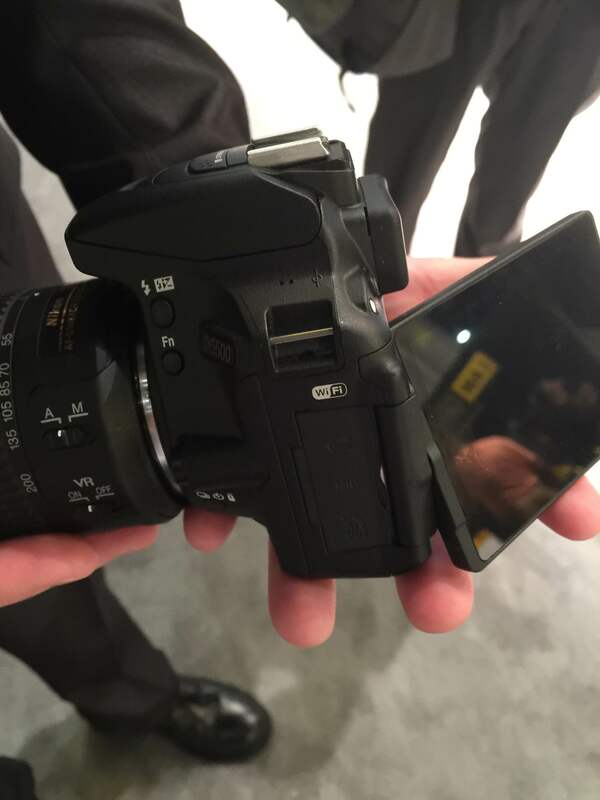 The new D5500, a DSLR camera with WiFi and remote capabilities, allows the consumer to connect directly to their smartphone for easier transfers, Steve Heiner, senior technical manager for Nikon tells Consumerist. “It brings quality and convenience to all areas,” he says. Unlike previous Nikon cameras, where consumers had to purchase a $60 connector to enable WiFi, the latest cameras come with the technology built in. Additionally, the D5500 can turn your smartphone into type of remote – through the Nikon app, of course. For example if a user is assembling a large family photo, the feature allows them to use the smartphone to view what the camera is seeing and to press a button to snap the photograph. Margaret Piemonte, a representative for Canon, tells Consumerist that the company is focusing on consumers’ desire to seamlessly share and store their photos. “We’re constantly trying to evolve and give people the option to back-up and share,” she says. 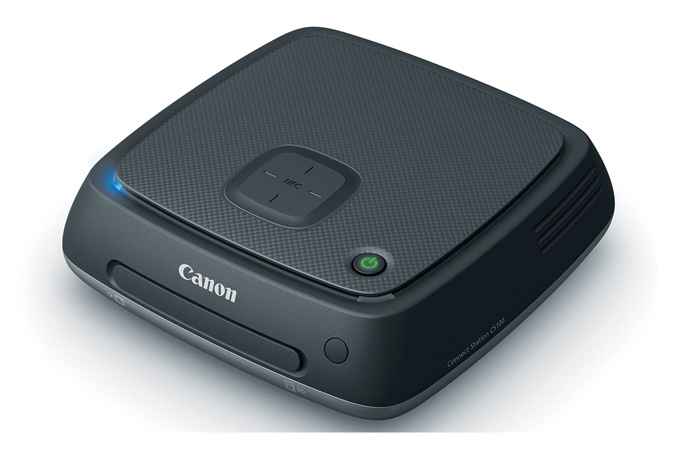 Canon introduced a hub-like photo sharing machine called the Canon Connect Station – CS100 during CES. This week, Canon is focusing on the CS100, a hub-like device that allows users to store, share and view their photos on any device. In addition to the connect station, the company has also put its focus on cameras equipped with Near Field Communication (NFC) technology, that allows devices to transfer photos with a simple tap. While the products being shilled by Kodak, Nikon and Canon all aim to capitalize on the popularity of smartphone cameras, the convenience provided by them will cost consumers a pretty penny. The Kodak Smart Lens costs $229 for the 10x zoom and $299 for a 25x zoom, while the SP360 camera sells for about $350. Over at Nikon the new D5500 will run consumers between $1,000 to $1,200 depending on the accessories and kit purchased. The Canon CS100 will be available for purchase in June for about $299. So, while the companies are attempting to stay relevant, the high cost of their products – rivaling the price of a new smartphone – might make it difficult to convince consumers they need these new products to up their photography game.